Seth Liebenstein joined Belkin Burden Wenig & Goldman, LLP as an Associate in 2005 and became a Partner in 2014. He practices transactional real estate law, including acquisitions, dispositions, financing, commercial leasing and cooperative and condominium representation. He regularly handles real estate transactions both locally and across the United States. Mr. Liebenstein handles transactions for numerous property owners, developers, generational real estate families and an array of investors regarding the acquisition, financing and disposition of multi-family properties, mixed use buildings, shopping centers, commercial and retail buildings, cooperative and condominium units and single-family homes. In addition, Mr. Liebenstein is experienced in handling all aspects of commercial leasing transactions. He regularly represents landlords, tenants and subtenants throughout the United States in connection with all property types, including office buildings, restaurants and retail space. 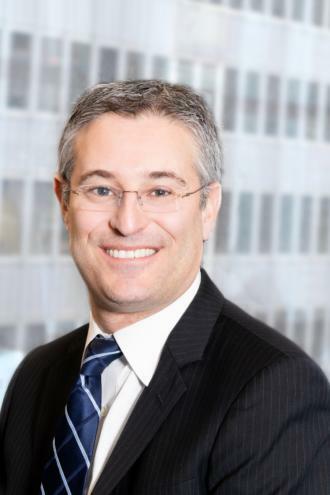 With respect to cooperative and condominium law, Mr. Liebenstein serves as general counsel to a number of cooperatives and condominiums in New York City. Mr. Liebenstein typically handles apartment corporations’ commercial leasing, construction contracts and underlying mortgage financings. In addition, he handles a large volume of day-to-day corporate matters, including shareholder, board member, managing agent, neighbor and employee issues. Mr. Liebensteinhas been recognized by his peers as a Super Lawyer Rising Starin 2014, 2015, 2016 and 2017. In addition, Mr. Liebenstein has been invited to lecture at Bold New York as part of their junior broker training program. Prior to practicing law, Mr. Liebenstein was a commercial real estate broker for GVA Williams. There, he earned the Associate Deal of the Year Award.